Are you looking for an Amazing well-constructed brick home with 4 bedrooms & 3 and 1 half baths, then you must see this home. Step onto a covered porch with space for sitting that awaits you. As you enter the home to the right is a separate dining room, and to the left an Office/ Library or sitting room. This space if needed could also be an additional guest room, which would work as well. Large open living area with gas fireplace. Views off the back of the large covered porch are of the golf course Tee Box 1. Such an amazing outdoor living and relaxing space. The flooring on the covered porch is Ironwood. The kitchen was designed with lots of prep space and cabinetry. Butcherblock countertops with a granite Island. Breakfast area with amazing pond and golf course views. Split floor plan with Master Ensuite with a large walk-in closet. Spacious Bathroom with Double sinks, Shower only. Two additional bedrooms with one full bath and a Half bath on the main level. The home was built with a place for an elevator which could be added if someone had a need for one. Really Large Laundry room on the main level with lots of cabinetry and folding space also equipped with a TV, Utility sink and pull down Ironing board. As you approach to go downstairs there is a Lovely Lead-glass Hanging piece that fits beautifully which will convey with the home. You will find an in-law suite equipped with kitchen space that has a refrigerator, Microwave and toaster oven. There is a place for a stove to be installed. Pool table and light above it will stay. There is a 4th bedroom & bath downstairs. Also, an additional room being used as an office with outside door access to patio. A wide area in the hall is currently being used a workout area. Lots of unfinished storage. 21x15.7 space for all the crafts, boxes and Christmas items, 15x9 storage area and 11.5x11.5 Utility room. Gas water heater, Gas heat, Gas fireplace. This home is well maintained and move-in ready. The home sits on 1 acre of land with ample parking which makes this a great place for large family or two families with basement in-law suite. You couldn't build a home with this much square feet at this price. Below appraised value. At 5438 sq feet (per county) that is $78 a sq ft. You could Never build this home again for that price. This home is well kept and cared for. MUST SEE!!! Sits on 1.0 acres. This is a Golf community with Low HOA fees. The data relating to real estate for sale on this web site comes in part from the Internet Data exchange (“IDX”) program of the Western Upstate Association of REALTORS®, Inc. IDX information is provided exclusively for consumers' personal, non-commercial use and may not be used for any purpose other than to identify prospective properties consumers may be interested in purchasing. Real estate listings held by brokerage firms other than Lorraine Harding Real Estate, are indicated by detailed information about them such as the name of the listing firms. Information deemed reliable but not guaranteed. © 2019 Western Upstate Association of REALTORS®, Inc. All Rights Reserved. 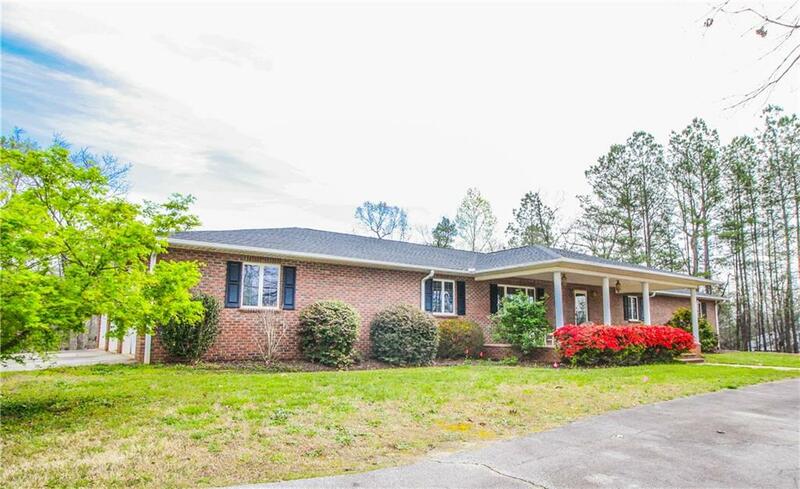 “The data relating to real estate for sale on this Web site comes in part from the Broker Reciprocity Program of the Western Upstate Association of REALTORS®, Inc. and the Western Upstate Multiple Listing Service, Inc.” Last Updated On: 04-23-2019 7:35 PM EST.